We host the European Parks Academy in cooperation with the World Commission on Protected Areas (IUCN/WCPA). The summer university takes place in the Lakeside Campus in Klagenfurt and is an advanced training for decision makers and persons responsible for protected areas. The seminar’s focus changes each year, the workshops are led by top experts. This format provides the opportunity for the extensive sharing of experiences and discussions at a high level. At the end of the seminar, WCPA, E.C.O. and corresponding lecturers will issue a certificate that documents the successful participation. The European Parks Academy takes place annually in July in Klagenfurt. Each module is comprised of an introductory conference, three intensive seminar days and a two-day field trip. The European Parks Academy offers access to the most recent trends and developments (policies, technologies, methods) in a very concentrated form. Besides the sharing of specific know-how, getting to know each other and exchanging experiences play an important role. In the past years, the following key topics have been covered: Governance, financing models, ecological monitoring and the management of UNESCO world heritage sites. For the key topics for the coming year, please refer to the most current leaflet in the download section. The topics of the European Parks Academy are elaborated in consultation with international organizations. The seminars are designed by reputable experts and trainers. The work in small groups facilitates to fully respond to the needs of the participants. 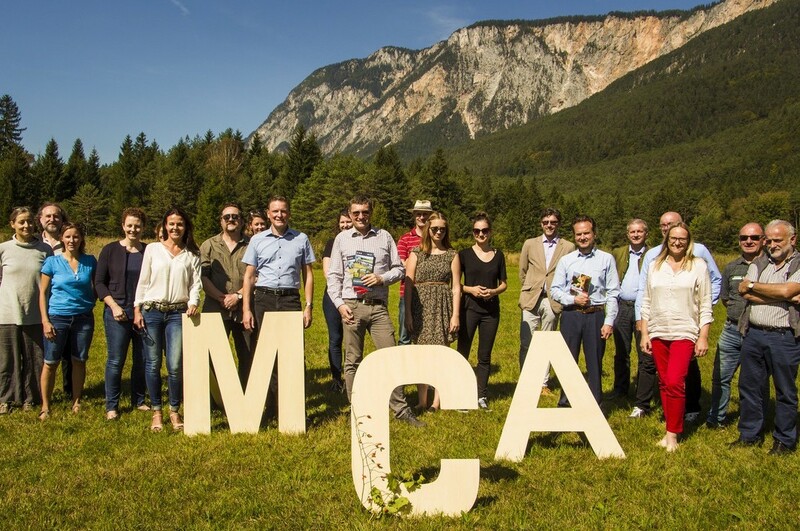 Together with the Carinthian University of Applied Sciences we offer the international master program Management of Conservation Areas. The comprehensive academic education is unique in Europe. It allows for career growth in protected areas (nature parks, national parks, biosphere reserves, world heritage sites or European protected areas), in research and education as well as in NGOs or international organizations. The key elements of the skills-oriented education are international cooperation as well as transcultural learning and working. The study program comprises 120 ECTS, culminating in a Masters degree (M.Sc.) graduation. The study program Management of Conservation Areas takes four semesters and can be completed while working full-time. In total, 64 attendance days are structured into eight modules of five to 13 days each. The courses take place at the Carinthian University of Applied Sciences as well as in selected protected areas in Central and Eastern Europe. - the personal competences to analyze and solve problems that occur in the planning and managing of protected areas. Innovative learning methods, interactions with a great number of participants as well as field trips support the learning success. The master program Management of Conservation Areas is embedded in a dense network of cooperation partners. An international scientific board ensures the scientific excellence of the teaching and the final theses. An Austrian experience pool is the interface to experiences and best practice examples in Austria. In the institutional board, important international organizations are represented. Additionally, a global network of regional contact persons is available for anyone interested. Together with the Carinthian University of Applied Sciences we offer the academic education Nature Conservation Operator (Naturschutzfachkraft). The one-year training focuses on hands-on conservation issues that occur on construction sites, on infrastructures and in the communal area. Participants amongst others are employees of construction companies, of the energy, raw materials and transport industry, from planning departments, nature conservation organizations as well as from the public administration. A certificate is awarded after successfully completing the program. The education program Nature Conservation Operator takes one year and can be completed while working full-time. The course is structured in ten three-day seminars. The education Nature Conservation Operator is an additional qualification to an existing profession. The education comprises an introductory part (e.g. nature conservation biology, nature conservation law, nature conservation professions), equipment knowledge and technology (e.g. telemetry, drones, geo-information) as well as a practical main part. There, central competences are shared and trained in the field. For the final thesis, a small practical nature conservation project will be prepared, implemented and documented. The education Nature Conservation Operator is designed by a great number of lecturers. These come from different professional backgrounds and working areas. For field trips, demonstration projects and final theses, we try to cooperate with companies, planners as well as with public administrations especially with municipalities.